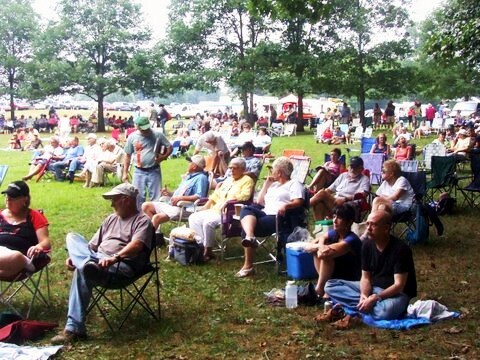 Always on the second Saturday in August, thousands of country music followers come together to perform and listen to authentic old timey and Bluegrass tunes. This year it was no exception. 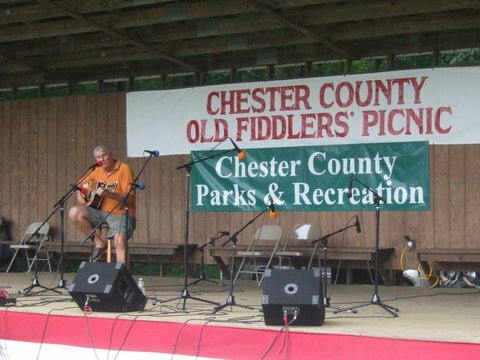 The place they have chosen for the last few decades is Hibernia Park in Chester County. 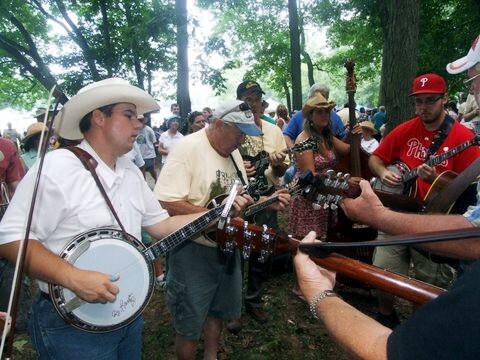 Many came armed with their guitars, banjos, mandolins, stand up bass and of course, fiddles. Oh and this is not for the beginner. Wow, some serious tunes are going on here not just on stage, heck no. That’s not where the action is. It’s in the woods that surround the amphitheater where a dozen or more groups haphazardly form and observers jump in to jam. Yes, there was singing, but for the most part it’s just picking authentic Appalachian folk music or the more lively bluegrass sounds of Flatt and Scruggs. We have heard most of this music through the decades, “Orange Blossom Special” (a great fiddle tune), “Cripple Creek” (clawhammer banjo), “Foggy Mountain Breakdown” (the famous Scruggs 3 finger banjo tune – Bonnie and Clyde) or beloved Elizabeth Cotton’s famous grammy winning song “Freight Train” (for serious guitar pickers). Adults, kids, and dogs are all there for the fun at a mere $5 per carload for admittance. That is, unless you spend some more cash for hay rides, crafts, instruments, funnel cakes, burgers, drinks and fries. 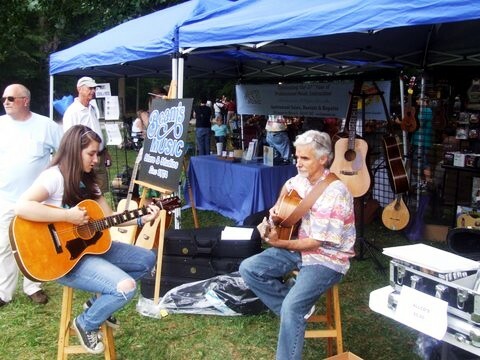 You may have missed it this year, but mark your calendar for next August for some great country/folk music and family fun. What a hoot!